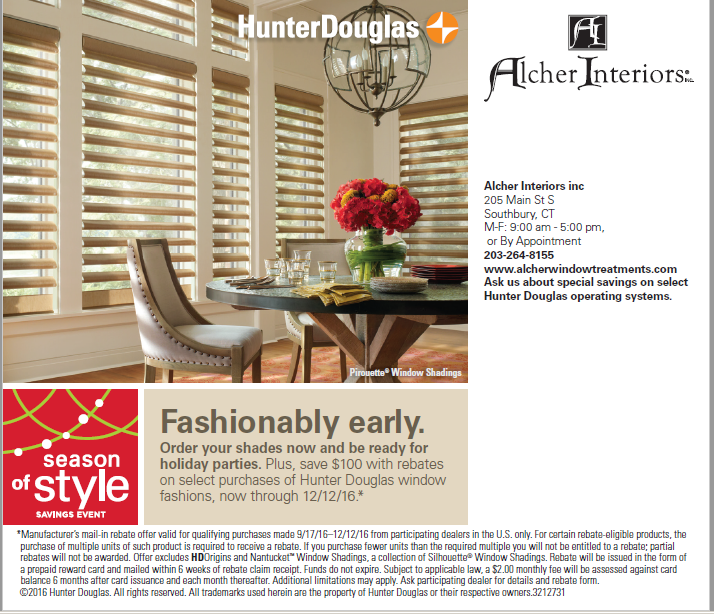 Hunter Douglas: Rebates up to $100 on Shades thru 12/12/16 | Alcher Interiors, Inc.
On sale 9/17 – 12/12/16 at Alcher Interiors are select Hunter Douglas shades, with rebates of up to $100. Order your shades now and be ready for holiday parties! Want to learn more about special savings on select Hunter Douglas operating systems? Stop in or call today: 203-264-8155.